Description - Aviator floating vinyl planks are the low cost and easy to install flooring solution that you have been looking for. With a 6 mil wear layer, this resilient collection is perfect for any room in the home where a hardwood look is desired. The easy VersaLock mechanism allows you to install your flooring hassle free, great for the DIYer of any level. Weight – Each vinyl plank weighs ~2.42 lbs. 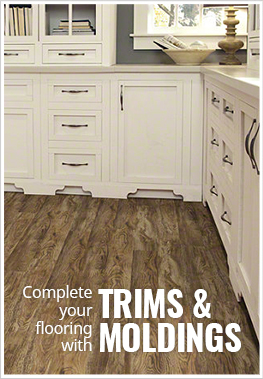 Recommended Uses – Aviator planks are recommended for residential installation in rooms such as kitchens, closets, bedrooms, basements, laundry room, and any other space in need of a durable yet low cost wood look. Easy to install floating floor. Stain, water, and fade resistant. How do we clean the Aviator Maverick? Someone said not to wet mop. Will it have a tendency to warp like the laminate flooring? That is correct, it is recommended when mopping use a damp and never a wet mop. it will not warp like laminate, but it is always best to follow the manufacturer's maintenance recommendations. Dust mop daily or when needed.